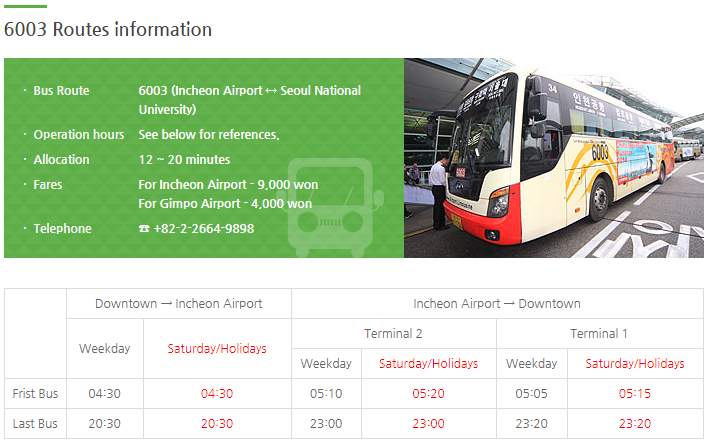 The Incheon Airport Bus however, runs many different routes and has several stops! 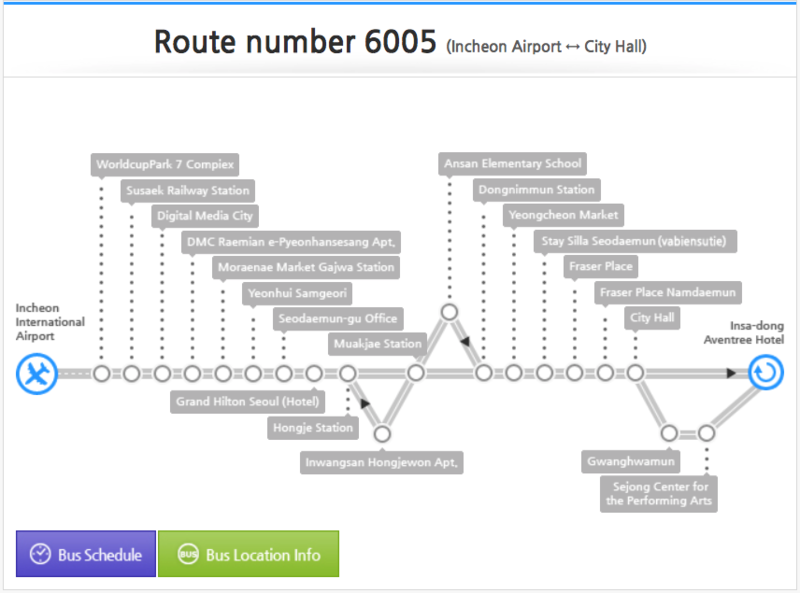 So what about taking the bus?Costing from between 8,000 won to 16,000 won, it is a great and convenient way to get into the city! 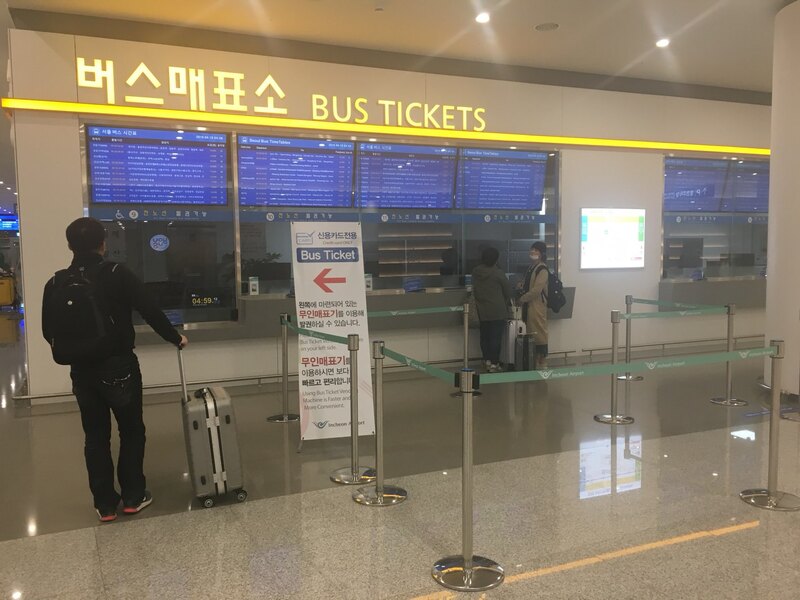 There are many bus ticketing counters inside the airport the moment to exit from arrivals! 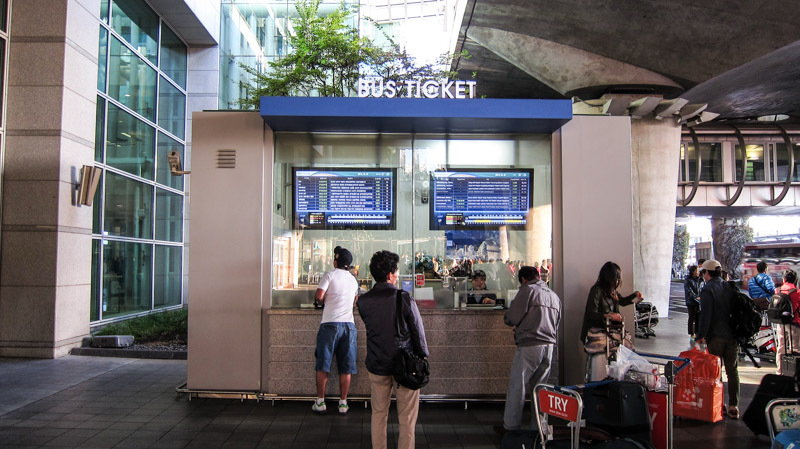 Most of the staff speak English so they will be able to help you book your bus ticket. 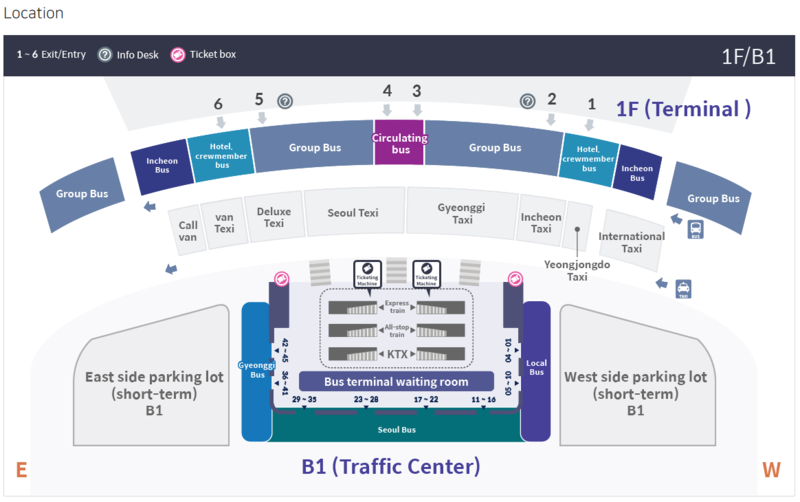 The map above shows you where you will need to exit to find your bus- but don’t worry, your bus ticket will also have all this information! 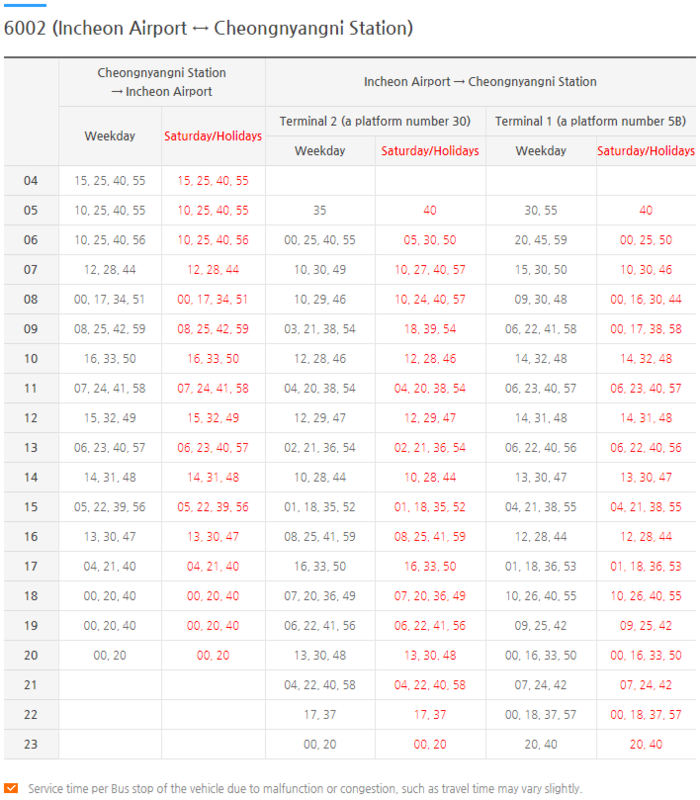 and You can also find airport express train(arex) post on below. 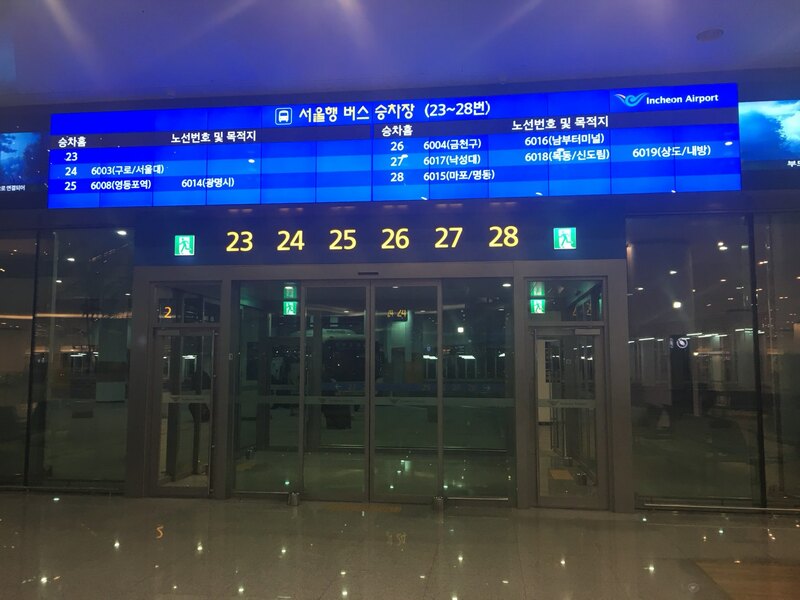 → Incheon Airport Train(AREX), Subway – Everything You Need To Know! There are different types of buses that you can take to get to your destination! Sometimes depending on your final stop you may have to take one or the other. 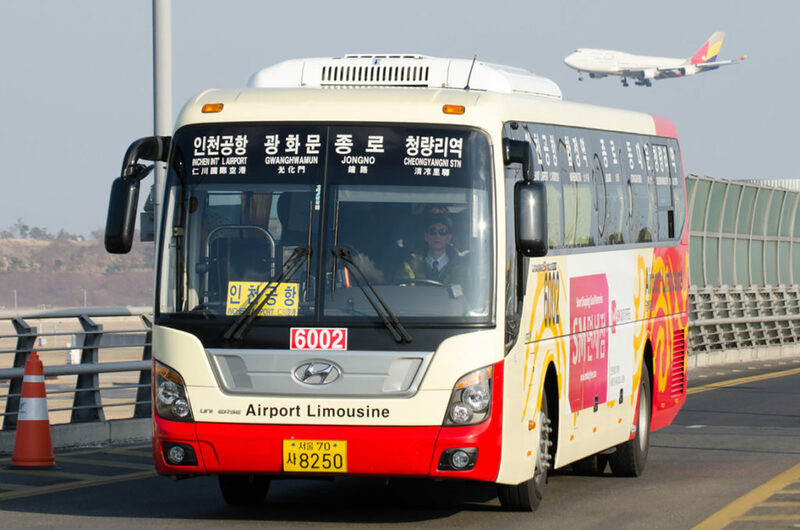 The Deluxe Limousine Bus is a little bit more expensive at about 14,000-16,000 won. However the seats are more spacious, and they make fewer stops in between so it is much more convenient for you, especially if you want to go to your destination as quickly as possible. 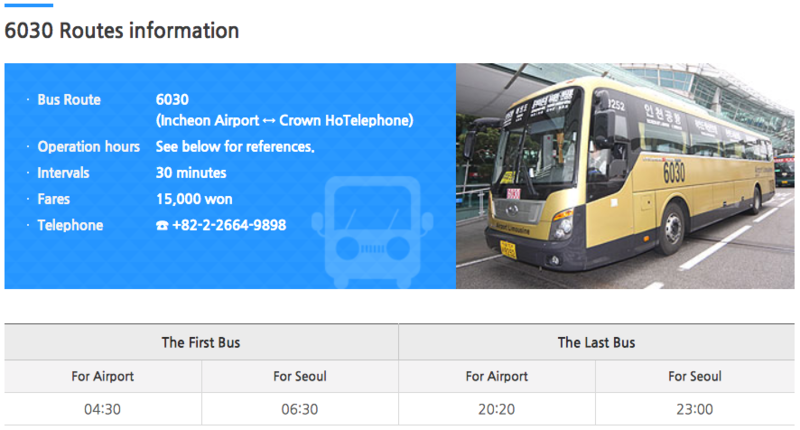 The Standard Limousine Bus is a little bit cheaper at 9,000 to 10,000 won. They tend to be more crowded, but they visit more stops so it might take you closer to your final destination if you take a standard limousine bus! 6011 (Seongbook/Wolgye) World Cup Stadium(Mapo-gu Office), Seongsan Hall, Yonsei University, Ewha Womans Univ Back Gate, Gyeongbokgoong stn., Angook Stn., Changdeok Palace, Sungkyunkwan Univ. (Hyehwa-dong), Hanseong Univ. 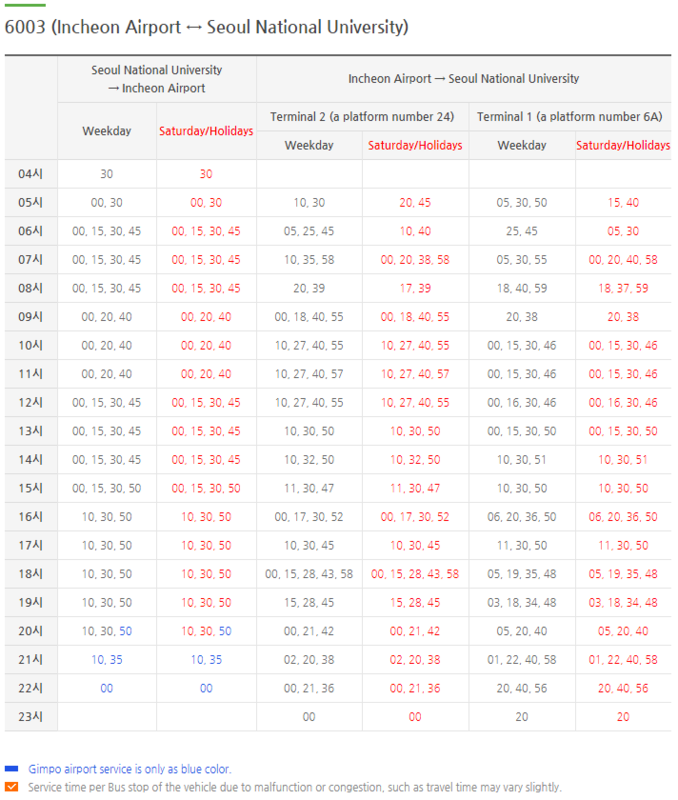 Station, Seongshin Women’s Univ. 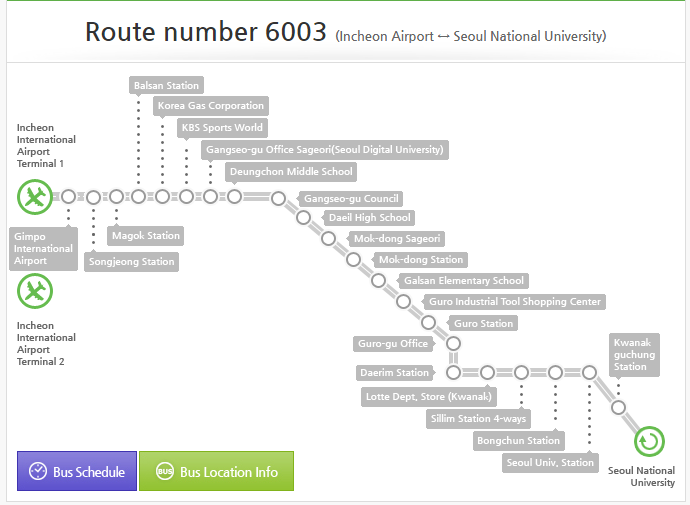 Stn., Miari-gogae, Gireum New Town, Wolgok New Town(Mia Sageori), Changmun Women’s High School, Dream Forest, Lotte Castle Lural Apt., Induk Institute of Technology,Wolgye Daewoo Apt. 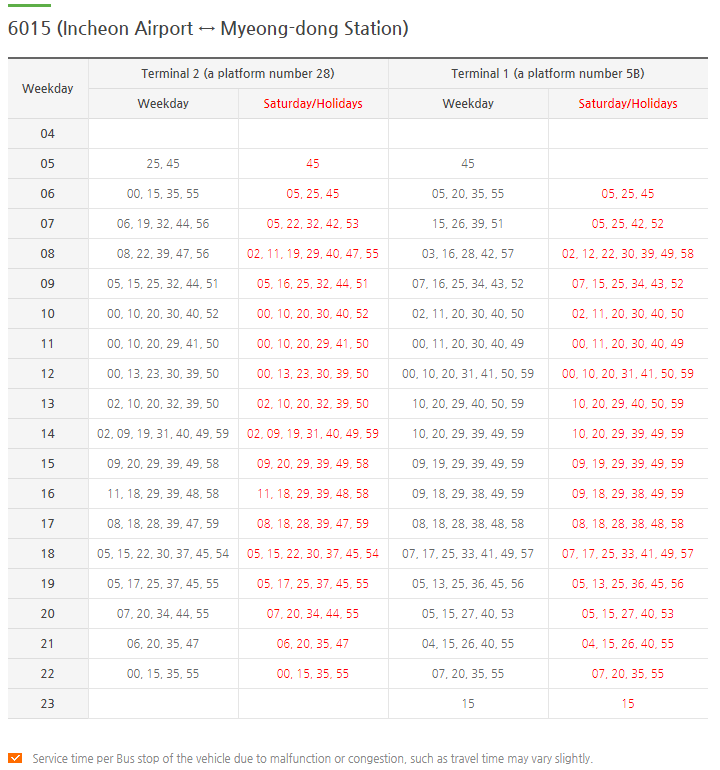 6100 (Joongrang, Surak) Soorak-Mt. 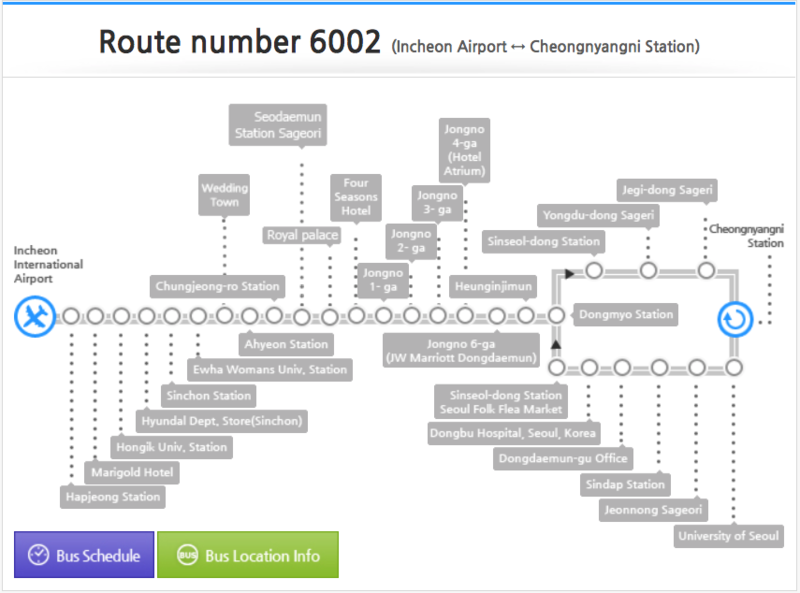 Stn., Noil Elimentary School, Madeul Stn., Nowon Stn., Joonggye Stn., Hagye Stn., Gongneung Stn., Taereung Stn., Meokgol Stn., Joonghwa Stn.,Mangwoo Stn. 6006 (Gang dong gu) Sinsa-dong(Misung Apt. ), Apgujeong Stn. (Hyundai Apt. ), Galleria Dept. Store, Prima Hotel, Hotel Riviera(Aloft Gangnam hotel, Chungdam Stn. ), Samseong Stn. 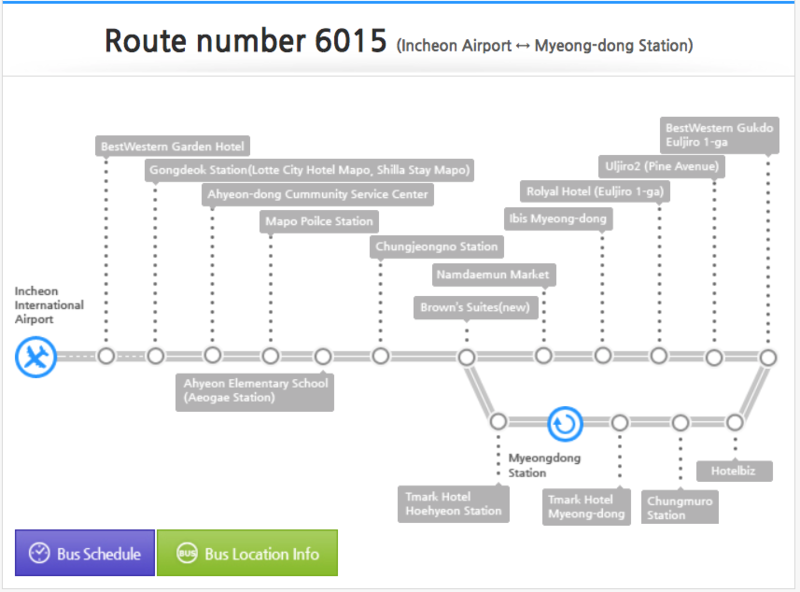 (COEX), Jamsil Sports Complex Stn., Sincheon Stn., Jamsil Stn., Jamsil jangmi Apt., Jamsil Parkrio Apt.,Mongchontoseong Stn. 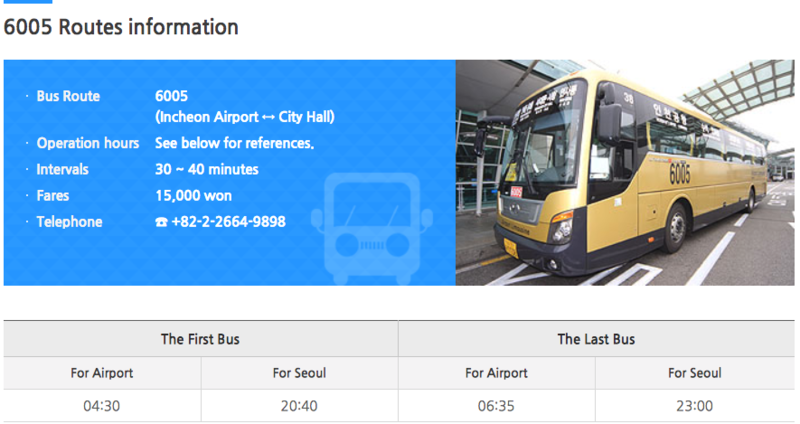 This entry was posted in Featured, Transportation and tagged bus, Incheon airport, transportation. 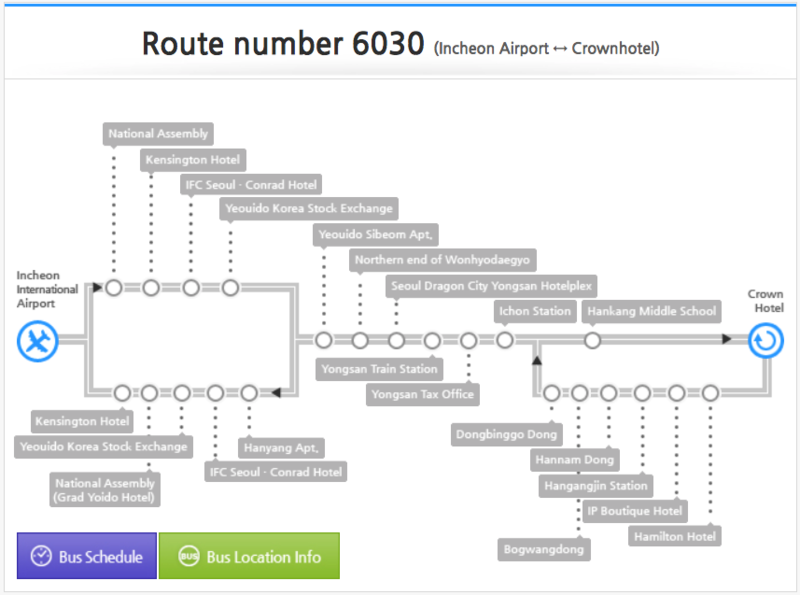 You can get to the Gwanghwamun by 6002 bus. 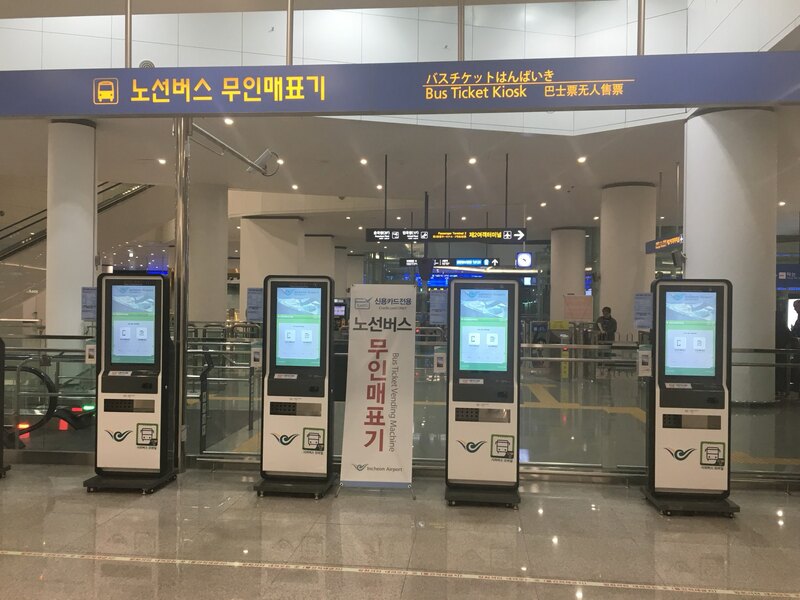 Also, we recommend you to take a airport train for get back to the airport. 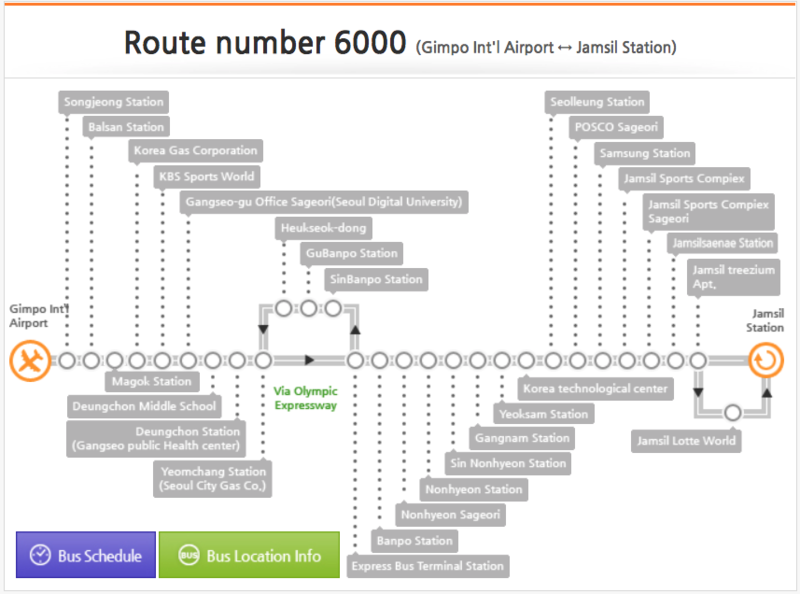 hi i want to get off at mokdong station using 6003. will I still have to pay 10.000? Yes you have to . This price is fixed fare. 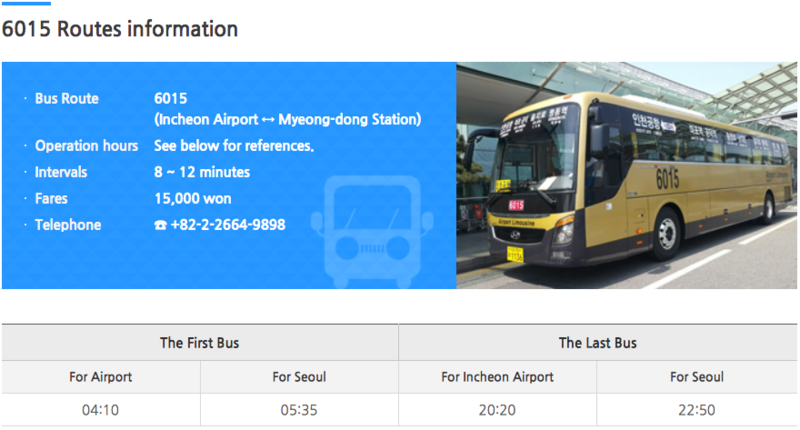 How about to daejeon…? any suggest ? 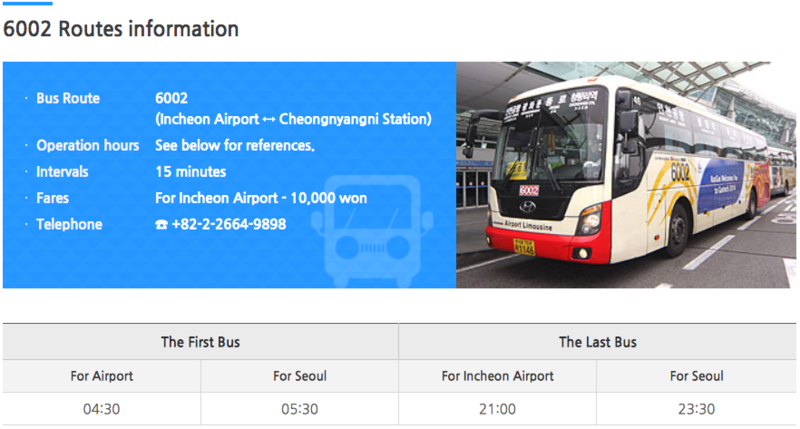 There is airport bus to Daejeon. 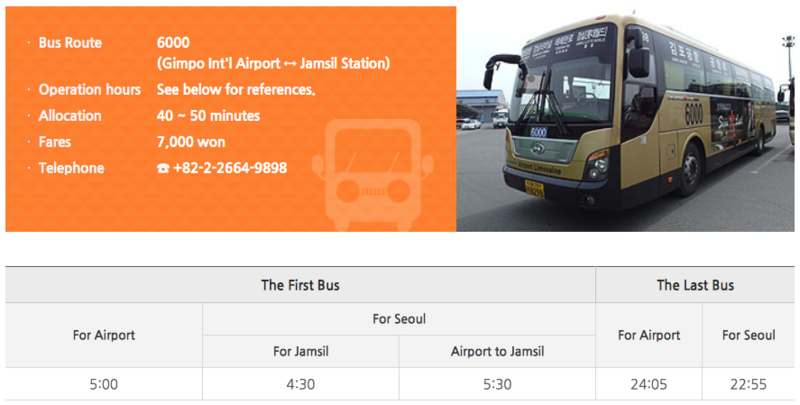 It takes 3 hours to Daejeon and you can get on the bus at 9D bus stop on 1st floor.